Successive [UK] Governments have, rightly, seen SMEs [Small to Medium Enterprises] as the potential engine room of growth for the economy. Having spent most of my adult life working in or with this type of company, I have become concerned that this terminology, whilst accurate, misses the fundamental dynamic of this type of business. The key issue is not their size but the ownership and more particularly, the relationship between the owner[s] and the business. I like to call these types of business Family Run / Owner Managed and would like to see the term FROM replacing SME. The reasons for this are twofold: firstly, it is a more accurate description of these businesses and secondly, if you are to help them you need to know where the owners are [to use the vernacular of the day] “coming from”. 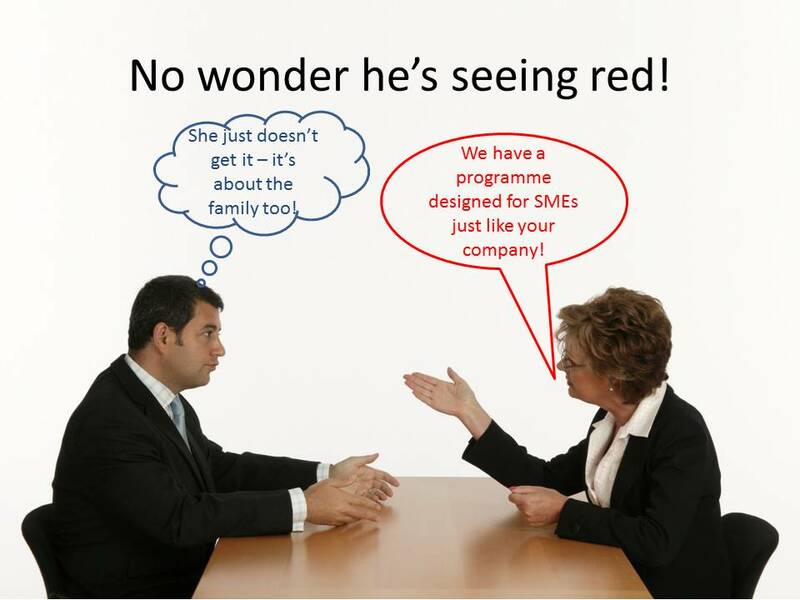 The main danger of using the SME terminology is that the businesses can be seen as miniature versions of “real businesses”that just need growth to be “fixed”. This completely misses the point. There is also an implication that approaches that are successful in larger businesses will also work effectively in these companies – this is not always true. They are likely to take a medium to long term perspective rather than the often short-term view of managers in large businesses. They are likely to be motivated to succeed and perhaps more resilient to difficult trading conditions, embracing solutions that would not work in large companies. They are committed to the survival of the business – sometimes too committed! Skills and capabilities are likely to be focused on what the business does. SuccessionOther family members may have no or limited interest in the company or its business area. Reluctance to bring in outside help. Owners can think that spending money on outside support is coming from their own pocket. If you can’t see it from their perspective – you won’t be able to help and they see that you can’t! Using the term FROM rather than SME will keep the real issues in the front of your mind!